Peanuts double-dipped in creamy milk chocolate. 9 oz. Approx. 8 per oz. 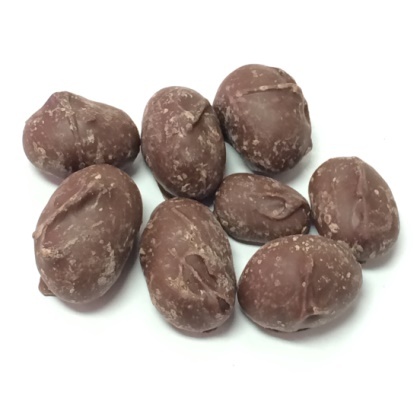 I'm going to ordering from you from now on I love chocolate covered peanuts. I told my friends about it and they want me to order them some to.